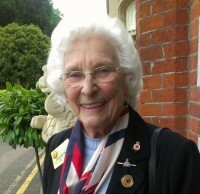 BETTY WEBB MBE is a veteran of Bletchley Park. She was part of a small team working on Japanese and other coded messages, working in Block F, a concrete hut called the Burma Road. Today, Betty is a highly experienced speaker on cryptology in World War II, and on other matters involving working with state secrets. At Celebrating Bletchley Park, she will tell the story of how she and her colleagues held an important and often underplayed position in breaking Japanese codes and cyphers, whose understanding was so vital to winning the war in the Far East. She worked to register messages as they were received from the German police forces – some of the first intelligence that revealed the massacres of Jews on the Eastern front, which we now understand as the Holocaust. But she had no idea that she handled that information until 30 years later, when the Bletchley story could be made public. Later, she served in the Army until 1969. Betty Webb is also the author of Secret Postings: Bletchley Park to The Pentagon. A major interview in the Huffington Post with Betty Webb and other Bletchley Park female veterans.